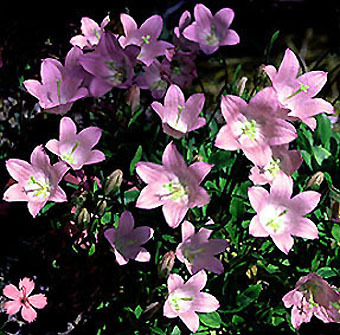 Campanula bellidifolia 'rose form' - belongs to a group of several, closely related bellflowers from the Caucasus. The colour varies in intensity of shade. I grow it in the rockgarden or stone trough.